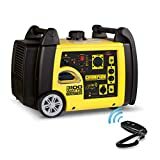 Portable Generators Reviews: We all know the purpose of having a Generator at our home, Work Place, Hotels, Restaurants etc. So the Generator is a device that is used for power backup during the power cut off. The first Generator invented by British Scientist Michael Faraday in 1831 was of Electromagnetic type. In technical terms, A Generator converts the Mechanical Energy into Electrical Energy. Today, our most of the activity is dependent on the Electronic devices such as Induction Stove, Microwave Oven, Toaster, Water Purifier, Laptop, Television, Mobile etc. Generator mentioned here uses the electrical energy as its source of power. Hence if there will be no power, then these devices will become useless. But if you have a Generator as a source of Power supply then you can use the electrical devices without any interruption. What should be the configuration of the Generator to fulfill the requirement? What will be the cost of the Generator? How a Generator can be maintained? Many companies are manufacturing different types of generators keeping the requirement of a person in the mind. So there are a lot of options available in the market to choose the type of generator you want. On this page, you will get the description of different types of the generator in detail. Check the various types of generators manufactured by the companies below. Portable Generators are helpful when you are moving outdoor or camping somewhere. The generator is the only source of electricity when you are at some place where it is difficult to have the power supply. All of us want to purchase such a product which should be equally worthy of the amount of spending on it. This is the newest version of the portable generator introduced by Westinghouse in the market. It comes with 9000 starting watts and 7500 running watts which is good enough than other portable generators. The features available in this generator are easy so that one can use it very easily. 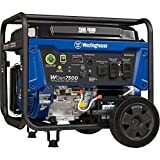 Westinghouse Wgen7500 is a gas powered generator having a 6.6 Gallon gas tank. This much power is enough to meet the daily electricity needs and also makes it a powerhouse. It is a CARB, CSA and EPA approved generator. It has a built-in fuel gauge which will help to check the gas level easily. A full tank of gas can run the generator for than 10 hours which makes it fuel efficient. It has heavy duty and a powerful engine having cast iron steel frame for additional protection. It is very easy to use the machine as it has a manual remote key start, electric start, and manual recoil. The generator weighs over 200 pounds which makes it quite difficult to transport or store. After 60 decibels, you may feel that this generator is not enough for camping or outings. Champion Power Equipment 46539 Portable Generator uses gas as fuel and has great power as well as features. This generator can run for 12 hours at 50% load as the rating is 4000 starting watts and 3500 running watts. The generator comprises of cold weather feature and 30 amp RV outlet. It can handle the boat, trailer, or backup power needs as it is capable of starting and running a 15,000 BTU RV air conditioning. Some important features of Champion Power Equipment 46539 Portable Generator are as follows. Handle which can be folded if not in use. It is a CARB approved generator. It has Intelliguage which shows hours, hertz and volts in use. You can use Wireless remote to start the generator from up to 80 feet. It has a Volt Guard feature which protects the connected appliances during the power surge. Difficulty while changing oil due to the position of the dip stick. This Portable Generator has a powerful and reliable engine which will keep the appliances safe. The generator can produce surge energy of 2200 watts and running energy of 1800 watts. Its operation is quieter and is 10% more powerful than its previous model that is Honda EU2200i. You can use this for charging the electronic gadgets such as a laptop, cell phone, camera etc. Some features of this portable generators are as follows. In case if you want to double your power then you can connect it to another unit. It is CARB compliant generator. It has a powerful engine which increases the durability of this product. The internal cooling is better as it is controlled by Honda’s Eco-Throttle System. It produces less noise as the generator produces only 48 decibels at quarter load and 57 decibels at full load. It can run for 8 hours at quarter load and 3 hours at full load in a gas capacity of under 1 gallon. Fuel Guage is not available which makes it difficult to know about the remaining fuel in the tank. 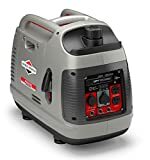 This Portable Generator by Briggs & Stratton has multiple outlets and the total harmonic distortion is 3% so it is safe to use with the sensitive electronic devices. Briggs & Stratton 30651 P2200 PowerSmart Series Generator produces 2200 watts of surge output and 1700 watts of steady output. When the generator runs at 25% load it produces only 59 decibel and 57 decibels in eco mode hence it is a quiet device. Using the H-handle, a single person can pick up and move the generator. The features of this Portable Generator is as follows. It can alert you during low oil and overload. It automatically adjusts the engine speed to save the fuel for a longer time. You can connect various electrical equipment like mobile, TV, blender etc. It is a lightweight generator which can be carried easily. It has an Auto-Idle feature which makes it fuel efficient. It comes with an extra port to connect a P2200 or P3000 for more power. The operations are very easy as it has a convenient control panel. Lack of electric start button hence requires more than 3 pulls to start. Difficult to run Heavy Duty Equipments as it produces little power. This generator comprises of the two ports of 120 volts, one is 120 volts/30 ampere and the other one is of 120 volts RV. It has 4 gallons gas tank which makes it run up to 11 hours at half load. The generator is economical, powerful and fuel efficient. The generator produces 4750 starting watts and 3750 running watts. Read some more features of the WEN 56475 Portable Generator given below. Electric Start Switch is available. Automatically shut down when the oil level is low. Inverter Generators is another option as a power source. These generators are almost the same as the portable generators. The difference is that a rectifier is used in the Inverter Generator which converts AC power to DC power. They are light weighted and produces less noise during operation. The details of various best models of the inverter generators are available below. This generator from Yamaha adjusts the speed of the engine automatically using load sensing mechanism. The load sensing mechanism makes it a fuel efficient and less noise producing inverter generator. It is a lightweight generator having the power capacity of 1600 constant watts and 2000 starting watts. It can run for 10 hours at 25% of the rated load and has the gas tank capacity of 1 gallon. Some of the features of Yamaha EF2000ISV2 Portable Inverter is as follows. It produces clean and safe power. It has a new type of latest technology in built controller for easy operation and output. Fuel Guage is available which helps in monitoring the level of fuel. It is a super quiet inverter generator because the noise level is 61 decibels at full load. The weight is only 44 pounds hence it is easy to carry or move at any place. It has fuel economy mode which can be used for better fuel efficiency. Heavy-duty equipment cannot be used for a long time. The generator has 2200 watts of starting outputs and 1800 watts of running outputs. It has Honda GXR120 engine which weighs less than 47 pounds. Hence it is easy to carry Honda EU2200I Inverter Generator at the required place. The fuel tank capacity is less than 1 gallon which makes it run for 3 hours at full capacity and 8 hours at quarter capacity. It has multiple outlets which help to connect various electronic devices with the inverter. Some of the features are available below. Can double the power by connecting it to the other unit. The operation of this generator is quiet than the other generators of the same range. It produces 48 to 57 decibels of noise depending upon the type of load. It has an Eco-throttle system which makes the engine to run at the required speed. The fuel consumption is efficient. The Fuel Guage is not available which makes it difficult to know the fuel available in the tank. The generator is powerful enough to run 13500 BTU Air Condition. The weight of Champion Power Equipment 75537I Inverter Generator is 95 pounds which are quite heavy. However, it has built-in robust tires along with U-Shaped foldable handles. Hence it is easy to carry the generator at the desired place. The power capacity of the generator is 3100 starting watts and 2800 running watts. It can run up to 8 hours at 25% load on a single tank. The tank capacity is of 1.5 gallon or 6 liters which makes the generator efficient enough to produce the required amount of power. The generator produces 58 decibels sound during operation that makes it a quiet generator. It produces steady and safe power which will not harm the electronic devices connected to it. This generator is versatile and powerful enough to charge a smartphone and run an air conditioner. It has a push to start the electric button, a manual recoil and wireless remote which can work at a distance of 80 feet away. You can use the Economy Mode available in the generator for better fuel efficiency. It does not have a 240 Volt outlet. The weight of the generator is quite heavy when compared with the other generators of the same power range. Westinghouse IGEN2200 Inverter Generator has an asymmetrical fan, dual quiet muffler, and double insulated enclosure so that it can produce less noise during operation. It has four strokes powerful engine runs having the capacity to run at 2200 starting watts and 1800 running watts. It can supply power for up to 12 hours at 25% of the rated load. The fuel tank efficiency of the generator is 1.2 gallon. The features of the inverter generator can be read below. It has two 5V USB ports along with two 120V household outlets. It has inbuilt Spark Arrestor which prevents the emission of flammable debris. It has Overload Protected Panel. Automatically adjusts its speed and produces only the required amount of power. It cannot be used for heavy-duty equipment. Wheels are not available which will create difficulty while moving or transporting. The engine life of WEN 56310 Portable Inverter Generator is longer and operates silently. It produces 3100 running watts and 2800 starting watts. The generator comes with Eco Mode which helps allows the motor to adjust the speed automatically as per requirement by maximizing the fuel consumption. It limits the total harmonic distortion to only 1.2% and hence produces stable and clean energy. Some of the features of the WEN 56310 Portable Inverter Generator is as follows. It has a gas tank of 1.85 gallons and can run at 50% load for 7.5 hours. Fuel efficient and powerful engine. Produces 57 decibel sound at the quarter load. It has plastic housing which can easily damage. Can use Eco Mode for the load under 1000 watts only. This generator from Briggs & Stratton is packed with enough power for backup. Briggs & Stratton Q6500 QuietPower Series Inverter Generator comes with 6500 watts starting power and 5000 watts running power. The total harmonic distortion limits in between 3% to 6% and produces clean and safe energy. The generator can run for 14 hours at 25% load as it comes with the 5-gallon gas tank. The engine automatically adjusts its speed as per the load connected to it. The is fuel efficient and makes 66 decibels noise at 25% load. Check some more features of the generator listed below. LED Light indicators are available for the safety purpose. Does not incorporated with electric start feature. Produces on 4800 watts for 240 volts RV Outlet. The quiet generator comprises of the engine that runs without creating much noise. Sometimes it becomes uncomfortable for the people when the generator makes a lot of noise. The quiet generators produce less vibration and less noise as compared to the other generators. Check the names and features of the Quietest Generator below. 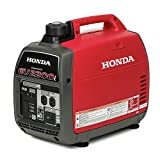 Honda EU3000IS Portable Inverter produces 3000 starting watts and 2800 running watts. The generator can run upto 20 hours having the gas containing the capacity of 3.4 gallons. The inverter can run mobile, laptop, fridge and even microwave & can power the average 13,500 BTU AC unit. In case, if extra power is required the user can connect 2 generators using a parallel cable. The generator produces noise in between 49 decibels to 58 decibels make it quietest generator. It has an Eco-throttle system which makes it a fuel efficient generator. It weighs over 130 pounds and as the wheels are absent so it is not that easy to carry or move the generator. This is a gas powered inverter generator produces 2000 starting watts and 1600 running watts. It can run for 10 hours at 25% load having the gas tank capacity of 1 gallon. It is packed with Low oil warning alert system, Overload Circuit Breaker and Fuel Guage to check the level of the fuel. Yamaha EF2000ISV2 Inverter Generator produces a sine wave energy and you can connect another unit of a generator to double the power. Also, this is a CARB compliant generator with low emission. It is a lightweight generator weighing 44 pounds and is use friendly. Smart throttle feature is available which makes it a fuel-efficient machine. At quarter load, produces 51.5 decibels and at full load produces only 61 decibels. It is not suitable for Heavy Duty equipment. The generator produces 51 decibels at quarter load. With 2000 watts of starting power and 1600 watts of running power, this will help you to use your electronic devices such as mobile phones, laptop, heater, microwave etc. It comes with an Eco Mode which automatically adjusts the fuel consumption and makes it a fuel-efficient machine. The gas tank capacity is 1 gallon which can run WEN 56200I Portable Inverter Generator for 6 hours at 50% load. The harmonic distortion is limited to 0.3% at no load and 1.2% at full load. It weighs only 48 pounds so the user can carry it easily at the required place. 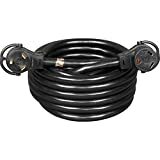 User has to purchase Ground Wire as the company does not provide the same. Difficulty in pouring oil in the Oil Compartment. Champion Power Equipment 73536I Inverter Generator can run upto 9.5 hours at 25% load with the full gas tank. It produces 2000 starting watts and 1700 running watts and gives enough power to continuously run 15000 BTU air conditioner. It produces 53-decibel noise, 23 feet away and sounds like an average conversation. It is incorporated with user-friendly features such as low oil shut down the system, an economy mode for better fuel our requirement. The description of the different products available here is totally unbiased. consumption and has easy pull recoil start. It weighs only 50 pounds hence is a convenient power source to carry while traveling. Economy Mode Switch for the fuel economy. Gas drain and Oil drain plug are not available. Surge Capacity is low hence cannot be recommended for emergency home backup power. Solar Generators are such power source which uses the energy of the sun for charging and then used for running various electronic devices. Those who are looking for a Solar Generator can check the features, Pros, and Cons of the best Solar Generators on this page. Hence you can rely on the information on Solar generators available here. Check the features of the various best Solar Generators available below. This Solar Generator from Yeti with pure sine wave inverter of 1500 watts and 3000 watts surge the best performance. It is incorporated with 132Ah battery having the capacity of 1425Wh. The user can connect up to 10 electronic devices at the same time. The generator is capable of running electronic devices like refrigerators, power tools, mobiles, health care equipment like CPAP Machine. It comes with smart LCD display and 10 different ports supporting AC, USB, USB-C, USB-PD and 12V Ports. It can be charged within 14 hours to 28 hours depending upon the visibility of the sun. However, you can also charge it using the AC ports of a wall in 25 hours. The best thing about this solar generator is its weight. Ecoflow River 500 Watts Portable Power Generator weighs only 11 Pounds. The generator produces pure sine wave inverter with a peak of 600 watts and 300 watts continuous. It has 114 Ah lithium-ion battery having the capacity of 412Wh. It has a large LCD display wherein the user can check Watts Usage, Remaining Hours and Battery Percentage. There are 4 USB, 2 USB-C, 2 AC, 2 DC and one 12 volts carport incorporated using which the user can connect 11 devices at the same time. Jackery Explorer 440 Solar Generator can be charged in about 10 hours through 100Watt Solar Panel and it takes 8 hours to charge through AC Port of the wall. It is incorporated with 20.4-ampere lithium battery with the maximum capacity of 440 watt-hours. It has inbuilt inverter of 300 watts and 500 watts surge. LCD Display allows the user to check the battery percentage and can connect multiple devices using 3 USB, 2 DC and 1 Car Outlet Ports. The weight of the solar generator is 12 pounds hence it can be carried easily at the desired place. The solar generator has 10.8 volts, 39.6Ah battery which is replaceable. The user can check the status of battery, duration etc. Goal Zero Yeti 400 Lithium Solar Power Station produces sine inverter clean energy of 300 Watt and 120 watts surge energy. It can charge 7 devices at the same time having the peak battery capacity of 428Wh. It can be charged in 7 hours from AC Wall Outlet and take time from 8 hours to 16 hours depending upon the capacity of solar panel. The weight of the solar generator is only 17 pounds having 2 USB, 2 AC and two 12 Volts ports. The weight of this solar generator is 12 pounds having the battery capacity of 444 watt-hours. It supports 4 USB Ports, 2 DC Ports, one 12 volts DC socket for car chargers and one jump starter ports for cars. The user cannot charge it using the solar panel and AC Outlet to charge the device at the same time. If the radio is on then the inverter cannot be charged via the Solar panel simultaneously. It produces 300 Watt pure sine energy for the electronic devices. Check the battery percentage, input/output of the devices which makes it a user-friendly device. The Generators are the best source of electricity during a power outage. The various types of Generator are available in the Market such as Portable Generator, Inverter Generator, Solar Generator, Quietest Generator etc. Check the details of the different types of the Generator of the different brand on this page. Read the specifications such as Power, Gas Tank Capacity, Efficiency etc. of the Generators before going to have one. This will help you to choose the best product as per your requirement.